Please read the Terms and Conditions carefully and check with us to clarify any clauses unclear to you and send us a signed copy to confirm your agreement. 1. The items included in and excluded from each package are as set out in the package details. independently and we shall be pleased to advise you accordingly. expect to stay in and your hotel room may differ from those illustrated. 6. Star ratings and gradings of hotels, especially in the cities of Makkah and Madinah are by the Ministry of Tourism. They have no set rule or conditions relied upon in such gradings nor are the gradings uniform or standard and equal across the rest of Saudi Arabia and nor are these anywhere comparable to the standards in force in United Kingdom. of occupation of the room dedicated for you and your family or else one that is to be shared by a prescribed number, determined by the relevant Saudi authorities. 8. Each room has attached wash/shower and toilet facility with adequate supply of soap and hot water and towel. 9. There is no room service. House keeping is bare minimum and there is no automatic daily cleaning or sheet change. This is available only on request basis and also only when one of the actual room occupant is present. should you seek such advise from us. including any insurance, charges, duties or other amounts payable. will not be accepted until such payment is received. come into effect on the date that appears on the Booking Form. facilities for assisting people with motability dysfunction anywhere there. For example, wheelchair ramps, if installed by the hotel, are utterly useless for wheelchair user to negotiate due to its awkward placement or very steep incline/gradient. Neither are any vehicles equipped with mechanism to assist a wheelchair user to get in and out of the vehicle. Likewise, the public toilets, in Mina, Muzdalifa and Arafat are void of special need equipments or ramps etc. 6. If you have motor/motability dysfunction or if you are a wheelchair user (manual or motorised) you will need a personal support or carer to assist you during the whole journey. We do not provide such assistance. 7. We do not provide any personal care. This includes support you may require should you, Allah Forbid, develop a disability whilst on Haj with us. We shall endeavour to help you find a personal carer for which you will have to pay. 8. You must notify us in writing of any medical condition that you or any person accompanying you. We may request further information on any such condition and you agree to provide such information (which shall be true and complete) promptly. We reserve the right to decline or cancel a booking or make further requests if we believe that we are not able to provide the facilities to deal with the medical condition in question. know at the time of booking. let you know as soon as reasonably possible. where airlines, visas and other matters require so. 3. No travel documents will be issued until the full and final payment has been received. 4. Where documents are sent by post pursuant to clause 3.2.2, we cannot be liable for items lost in the post. * If you are a UK citizen, please provide us the passport ensuring that it has six (6) months validity on the agreed date of your flight from UK. * That your passport has two empty facing pages. * That it is not damaged in any way. * That you enclose a certificate of immunisation against meningitis (meningococcal bacteria) clearly stating that you have been administered the Quadrivalent (ACWY) dose. This is a must excepting expecting mothers and children under 2 years of age. * All non EEC nationals legitimately domiciled in UK or legally permitted for study or work etc, must provide their bio-metric (machine readable) passport with a validity of the stay permit to be for six months or more on the date of travel and the passport, itself, to be valid for six months on the date of travel. * The non-EEC nationals must either provide their legal status with a Home Office/UKBA stamp or endorsement in their passport or with a biometric ID Card. > UK driving licence, telephone bill or bank statements are not acceptable as a proof of residence. 3. Four very recently taken passport sized photographs. We recommend you have the picture taken against coloured background which may be any colour except red. 4. We normally start collecting the passports by late Ramadan, however, if you have plan to travel than your passport must be with us at least four weeks before our tour. 5. We cannot guarantee that a visa application will be granted and cannot be liable for any refusal made by the Saudi Arabian authorities for any reason whatsoever. Form. The exact amount of the deposit will be as detailed in the Package details. before the date of departure whichever is earlier. unless such sums are overdue. dates your booking may be cancelled without liability on our part. 1 . If you decide that you wish to cancel the booking or change any element of your Tour you must inform us in writing as soon as possible. You are also responsible for notifying us where a member of your party wishes to cancel the booking or change any element of the Tour. 3. If you decide to cancel the Tour after the due date of the balance of payment we shall retain 15% of the total cost of the tour plus any deposits paid. Any cancellation costs levied by any of our suppliers or the airline will also be deducted from the amount to be refunded to you. Please note that some airfares are subject to special conditions and cancellation charges which can be as high as 100%. we cannot be liable for these costs. 7 . We highly recommend that you arrange adequate travel insurance. The package excludes meal excepting for the five days of stay in the tents in Mina. We, however, will endeavour to organise meals as a compliment from us to you, during your stay in the hotels in Makkah and Madinah. The complimentary meals will be half board and on buffet basis allowing you to help yourself or, of necessity due to prevailing circumstances, be served. We will have fixed time for such supply of meal and the dining room shut outside of such times. The menu of the complimentary meal is Indian based. Meal, in the hotel, is intended for consumption in the hotels dining area and must not be taken to your rooms. There will be hot drink available for you in the dining area. Our complimentary meal will start with the particular time of the day when you arrive in your hotel from Jeddah to Makkah or from Makkah to Madinah. Any other food, in transit between Jedda, Makkah and Madina, will again be complimentary and we are in no way obliged to provide you with. During the five days of stay in tents, your meal is bought from the Mutawwif served as full board in pre-packed packages along with soft drinks. We have no control on the menu of the meal supplied by the mutawwif as he is obliged to cater for multi nationals under his management. The Madinah Hotel is very large and have one massive dining area in which we will share the space with many other groups. As such, wearing of your ID cards, issued by us, is a must to be able to get your meal. 1. Threatening, abusive and bad manners which includes but not limited to raised voices out of anger towards our staff, swearing with profanity, and/or physical abuse will result in the concerned individual being expelled from the tour either before or during the tour. We reserve the right not to aid the facilitation of any paid for services from that moment onwards. are well informed of your Hajj rites and expectations, including details of all meetings, timings and schedules. Embassy or the time it takes to get from Hotels to the Grand Mosques or where particular hospitals are. 4. 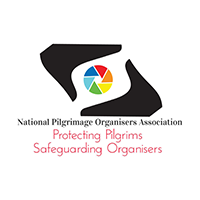 We issue unique identity cards for our pilgrims and expect them to worn at all times. The cards carry passport number, picture of pilgrim, hotel names and phone numbers and the names and phone number of our prominent group leaders. 5. The Mutawwif service also issues a wristband which the pilgrim is expected to wear at all times. It carries the pilgrim’s unique filing number and the mutawwif’s details which is useful to trace the pilgrim should s/he be lost or hospitalised. 6. The medical services are free only in Makkah, Mina, Arafah and Madinah. Elsewhere, in Saudi Arabia, such as on transport on the highways, the medical care is not free. A travel and health insurance is highly recommended. 7. In case of mild illness which is not life threatening, medical care is available at every government clinics all over the pilgrim’s movement/residential area and medication is dispensed free of charge. 8. In case of serious illness or injury, there are field hospitals or mainstream hospitals where out-patient or in-patient service is available for initial diagnosis free of charge. Any surgery or illness warranting intensive care will carry a cost to be paid by you. 9. Any emergency treatment requiring transfers to other hospitals in Saudi Arabia or in UK will incur cost of transport to the onward destination and for the cost of treatment if in Saudi Arabia. 10. We do not provide personal care or service and it is for you to take necessary health and safety care. We shall assist you should you be ill and get medical attention. However, we cannot be available for your hospital attendance especially given the fact that men and women are segregated everywhere. The size and weight of your bags with your own physical ability to handle them. Luggage trolleys are scarce at the airports in Saudi Arabia and you will have to haul your bags by yourself. We cannot assist you with its handling and neither are trolley assistants/porters available for that. Your luggage will be loaded onto the Mutawwif supplied bus by their own handlers and will be stacked up on the roof of the buses. As such, please ensure the bags do not have fragile or valuable materials in them as any damage to your possession will not be our liability. Upon reaching your destination and hotel, the luggage will be simply off-loaded off the buses. You are advised to be particularly attentive and collect your luggage and haul that into the hotel foyers and to look after them because, like you, there will be many others whose luggage will be in the same premise/proximity while you are allocated the keys to your rooms. You will have to handle your luggage into your assigned rooms as no hotel porterage is available. For the five days of stay in Mina camps, you will need to carry the bare minimum possessions with you because there is absolutely no space, other than your mattress or sofabed, to store the luggage. You will have to leave your possession in your hotel room while away in the mina camps. Ensure no valuables are left behind as we take no responsibility for any loss or damage in your absence. You may have visitors, not from our own groups, to visit you. Kindly meet them in the hotel reception. Under no circumstances should they be allowed into your rooms. Should your guest arrive at meal time and you wish to treat them than you must first obtain our expression permission to do so. We regard smoking as harmful to personal health. It is also decreed to be Haram. We require, those who smoke, to refrain from doing so in the room or in the attached wash room or in dining area and inside your tents. We take serious exceptions on those who breach this condition. Men and women, if occupying room on shared basis, are segregated in the hotels and in mina tents. Should your mehrim be in such occupation than you are prohibited to visit each other in the respective rooms or in the respective tents. Should you need to speak to your mehrim than you are best advised to knock on the door and ask the mehrim to come out and see you or let your mehrim know to come out and see you by calling their names out loudly or use your mobile phone. The tents, in Mina, have no particular provisions for privacy and, as such, you must not, under any circumstances, poke your head inside male and female tents. You must ensure that you have all your medications on you when staying in the mina tents. 1. We shall not be liable for any delay in performing obligations or for failure to perform obligations if the delay or failure results from circumstances beyond our control including, but not limited to Act of God, refusal of licence(s), act of government, act of terrorism, fire, flood, earthquake, war, riot, explosion, accident, criminal act, civil commotion, industrial dispute, delays in transportation, adverse weather conditions, timetables being amended or cancelled by airlines, impossibility of obtaining information or any other cause outside of our control. 10. The Process of Haj- It is dedicated to Worship and is not a Holiday Tour. ILAL BARAKAH HAJ LTD, with over twenty years of experience, pledges to make your Hajj journey a success, Insha- Allah. In the event of any difficulty we will try our level best to remedy the situation as quickly as possible. The whole surrounding area of the Grand Masjid – The Haram- is undergoing major demolition and new construction. Likewise for Madinah around The Prophet’s Mosque. and whose logistics is phenomenal with almost round the clock vehicular grid-lock and sheer human traffic. Add to that environment the extreme heat. Collectively, the circumstances create the most un-comfortable environment of noise, heat and the fumes from vehicles leading to pollution. In between the stay in the tented valley of Mina for five days, the religious procedure makes it mandatory for you to visit the Grand Masjid, at least once, to discharge your obligations. As there is no government arranged transport nor the permission from them to the haj agents to organise your transport between Mina and Grand Masjid, you may have to walk both ways or else pay for a ride in private vehicles plying from a number of spots in Mina and around the Grand Masjid. 8. Hence, the tour can be physically demanding. In order to complete the rites of Hajj we require that all pilgrims are fit enough to walk for a distance of at least five miles. In case any pilgrim is not fit enough to do so, he/she should take a wheelchair with them as well as a companion who will take responsibility for them. We also strongly recommend that pilgrims seek medical clearance from their GP before booking, particular the elderly. 9. Please note that the journey of Hajj cannot be equated to holiday travel. During this journey the unexpected is often the norm, despite careful planning and organisation the Hajj journey can never be taken for granted like a normal holiday. Hotels, transport and public services are all pushed to their limits during the Hajj season so you should not expect the same level of service that you are used to in the UK. Due to the large number of pilgrims in a small area, the crowds can be overwhelming. Expect major traffic congestion and very long delays while moving from one location to another during the days of the rites of Hajj. These journeys can be very frustrating and unpredictable. up to the demanding environment. 14. Your sleeping space is confined to the sofabed or mattress bought by us from the Mutawwif and so is your meal (supplied pre-packed) during these five days. Should you not be in your tent at meal time for any reason, your packed meal will be left on your sleeping space. 15. Transport to Mina, from your hotel in Makkah and from Mina to Arafah and from Arafah to Muzdalifa (where you will spend the night under open sky) and from Muzdalifa to Mina is on Mutawwif supplied buses. 16. These buses are supposedly air-conditioned and are not comfortable. The buses are supplied with a view to make multi trips to transport you from point to point. 17. The buses are allocated per campsite’s office number which accommodates between 3,000 to 5,000 pilgrims. Each camp’s mutawwif subsequently assigns such buses to various groups, in his camps, on a pre-arranged draw of lot. 18. Hence, we, ILAL BARAKAH HAJ LTD or any other groups, have no control and abide by the mutawwif’s regime and rules. As such our group may be the first to leave Arafah or in between or be the last and, likewise, for transfer from Arafah to Muzdalifa. 19. Should our drawn lot be anything after #5, than the chances of the group being together in Muzdalifa is extremely remote and the group may well be dispersed all over the place that night by the time they arrive from Arafah. 20. The transfer from Muzdalifa to Mina is un-controlled and un-manageable. We advise our pilgrims either to wait out until there are no more left to be able to get a bus or else to walk the distance between Muzdalifa and Mina. 21. The same day, the procedure of Haj demands that you perform the stoning ritual at Jamarat. It is around 2 kilometers from your camps and you have no option but to walk there and either to continue onwards to the Grand Masjid to complete the remaining process of Tawaf and Sai or else to return back to camps and go to the Grand Masjid the next day. You will have group leaders allocated to assist you with whichever option you may select. 22. Bear in mind that the transport to Grand Masjid is on private vehicles plying between various spots in Mina and the area surrounding the Grand Masjid and, despite paying for your transport, you are very likely to be off-loaded by that vehicle owner at considerable walking distance from your intended destination. 23. We advise you strongly to attend daily briefings and lectures especially to understand the demographic locations of your hotel, the Grand Masjid and your particular camps in Mina so that you can reach any of these should you be separated from the group or be lost. Please sign to confirm you have read and agree to be bound by our Terms and Conditions. Your signature also cover any other relatives or dependants travelling with you.